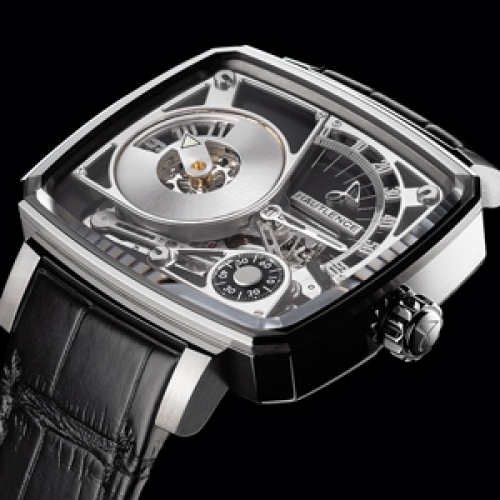 Presented for the first time at Baselworld, the HL08 opens the door to new ways of reading the time. 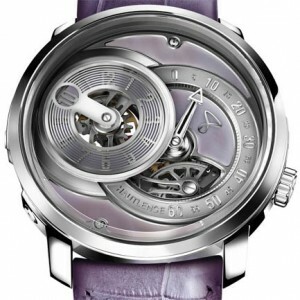 A little horological masterpiece, it is designed around an extremely complex manufactory-made movement. For example, along with the retrograde minute display was the added challenge of creating a jumping disc with a window indicating the jumping hours, a challenge in terms of energy and inertia that Hautlence achieved in a very original manner: the jumping hours on the disc and the retrograde minute display are both driven by the minute cannon-pinion. This novel solution is protected by a patent. Limited edition of 88.